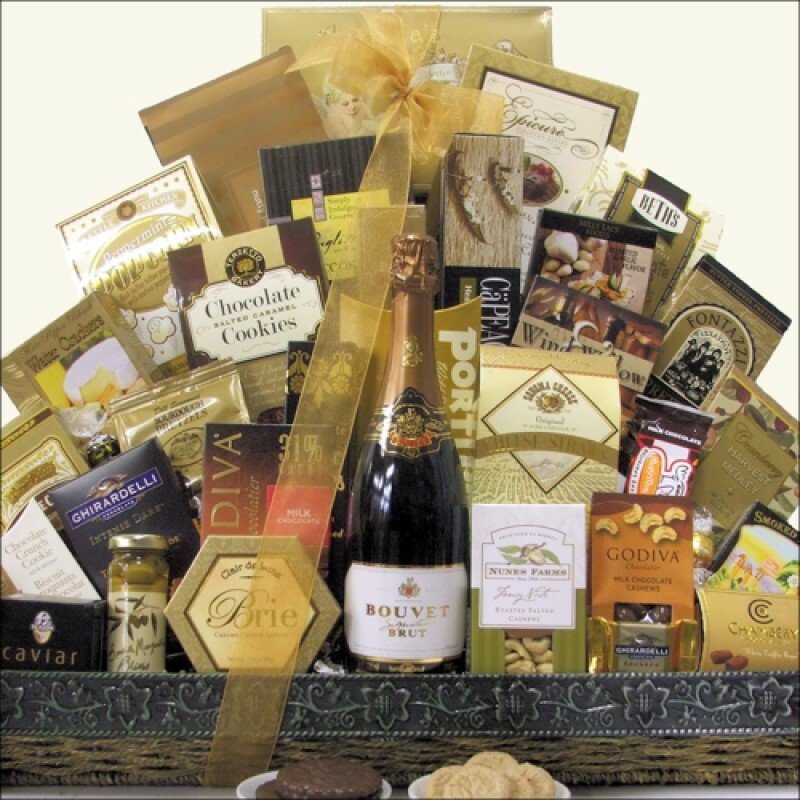 Send them ''Elegant Wishes'' with this gorgeous Champagne and Gourmet Food Gift Basket. Customize and add your personal touch by choosing from a variety of wonderful sparkling wines and champagnes including Cook's California Champagne, Bouvet Signature Brut French Saparkling Wine, J Vineyard Cuvee 20 Brut, Moet & Chandon Imperial Champagne, Taittinger Brut La Francasie champagne or Dom Perignon Vintage Champagne! Your wine will be surrounded by a wonderful assortment of gourmet candy, cheeses, chocolates, cookies, snacks, nuts and much more! This basket is sure to make a lasting impression. ...in a Premium Rectangular Gift Basket with Seagrass & Woven Black Trim with Wooden Handles.